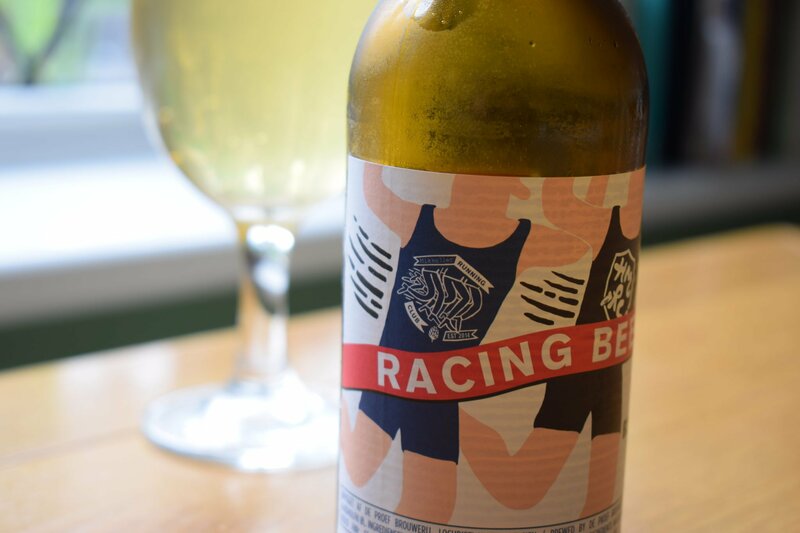 Mikkeller “Racing Beer” is a 0.3% lager with a sweet and sour flavour and tropical aroma. Get tasting notes in this review, plus find out where to buy it. If you’re giving up alcohol to get fit, non-alcoholic beer is an ideal replacement. For starters, alcohol-free beer (like full-strength beer) – is isotonic. So your body absorbs it quickly, without the dehydrating effects of the alcohol. Beer also contains chemicals that can help you recover from exercise more quickly. Hence why some athletes use non-alcoholic beer instead of energy drinks to recover after competition. Loads of alcohol-free beer brands, including Fitbeer, Lowenbrau and Erdinger use non-alcoholic beer’s health credentials to market themselves an accompaniment to an active lifestyle. Another brand that does this is Denmark’s “gypsy” brewery, Mikkeller. 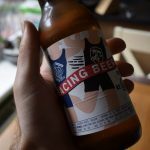 Co-founded by keen athlete Mikkel Borg Bjergsø, the brewery has set up more than 180 running clubs around the world where people can go for a run and joy a beer afterwards. It’s only natural then for Mikkeller, which has produced hundreds of full-strength beers over the years, to come up a running-themed beer. 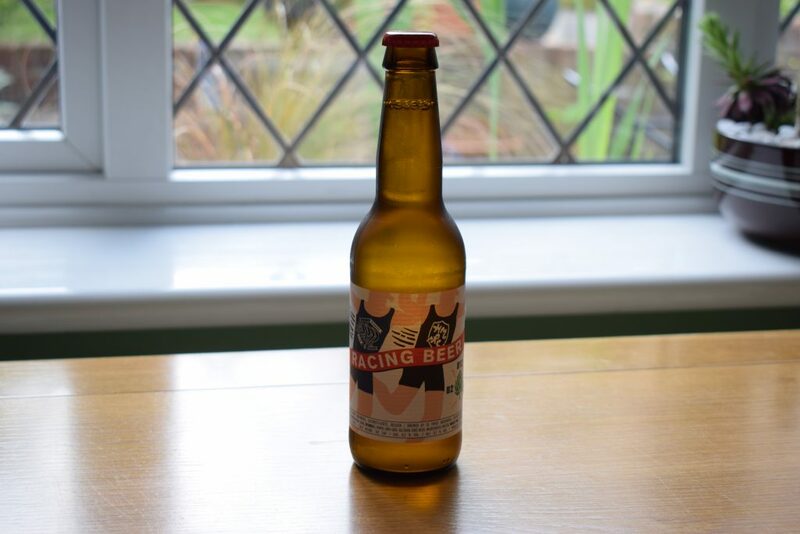 Brewed at one of Mikkeller’s partner breweries in Belgium, “Racing Beer” comes in at 0.3% ABV. It pours a straw-colour with a decent head. It definitely looks refreshing. The aroma is quite acidic, but lovely all the same – grapefruit, lychee and a little wheat hit your nostrils when you take a sniff. It feels smooth in your mouth, despite being well carbonated with tight bubbles. There’s some acidity in the taste too, but it’s refreshing rather than lip-puckering and you get more used to it after a few sips. This acidity is balanced with wheat, lemon and orange flavours to create a sweet and sour sensation that provides a mental thirst quench. I wouldn’t have been surprised to see lemon and wheat malt listed in the ingredients. But it looks as though Mikkeller have achieved these flavours with just barley malt, some aromatic hops and a decent yeast. There’s just enough bitterness in the aftertaste to stop you chugging this one down too quickly. So you can savour the flavour even if you’re keen to rehydrate. 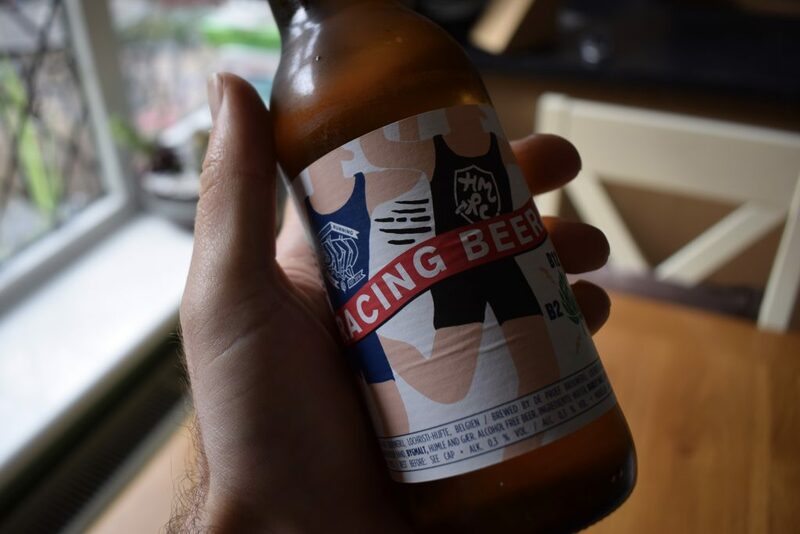 I enjoyed my bottle of Racing Beer. 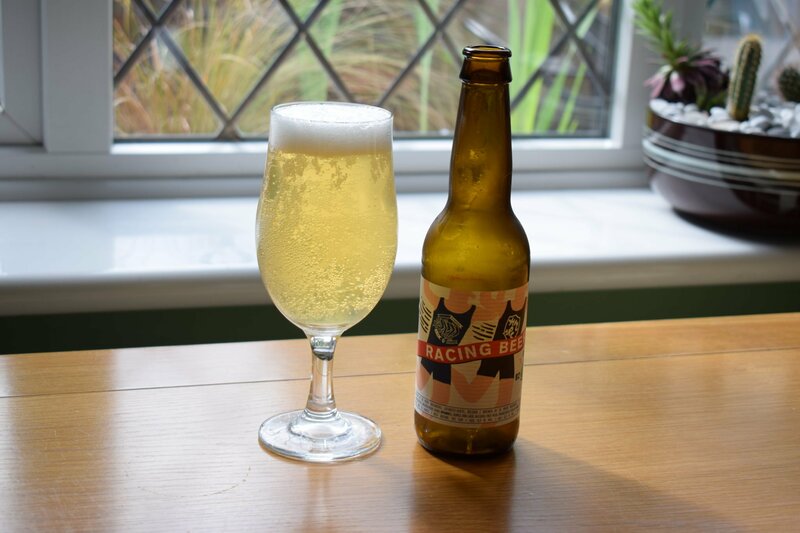 Not only is it a light, refreshing drink for post-exercise but it’s also an interesting, tasty low-alcohol beer for sipping in the garden on a summer’s day. It’s described as a lager-style beer. Yet it reminds me more of a Belgian wheat beer or saison. So don’t be put off by it if you’re not into your lagers.